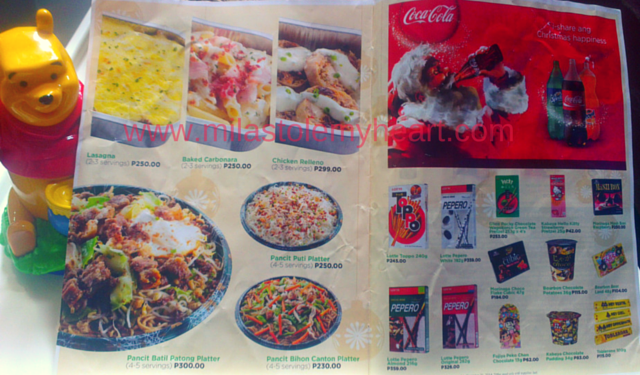 Mila Stole My Heart: Looking for Convenient Noche Buena Food? Try Family Mart! 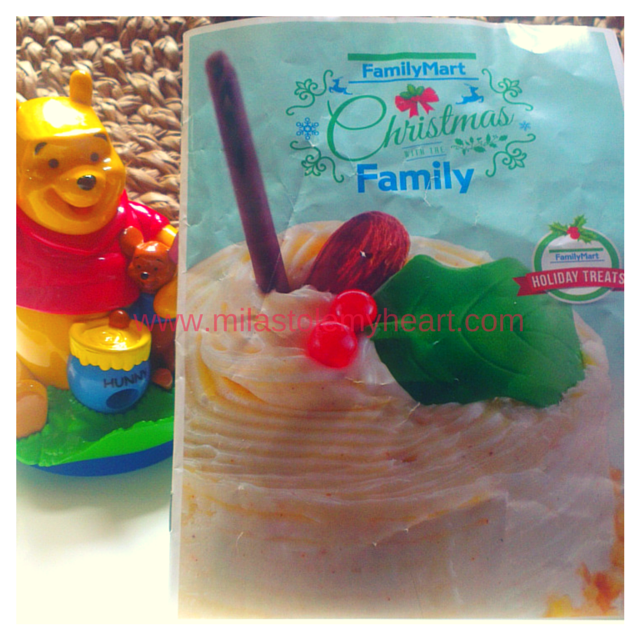 Looking for Convenient Noche Buena Food? Try Family Mart! Happy Sunday everyone! I just realized how great it is to have more than 8 hours of sleep! Finally! a much appreciated rest! I was dead tired last night, no amount of cries could rise me up. I wish it's Hubs' rest days are always on a weekend so we can have family time and he can take care of Mila while I get my beauty rest. Because I slept early, I woke up early too. That's so not me! Mila is not a morning baby too. She's still sound snoring when I got out of the bed so I decided to clean up a little. Found tons of papers and receipts that I wanted to throw out. I love looking at brochures because of their pretty pictures. 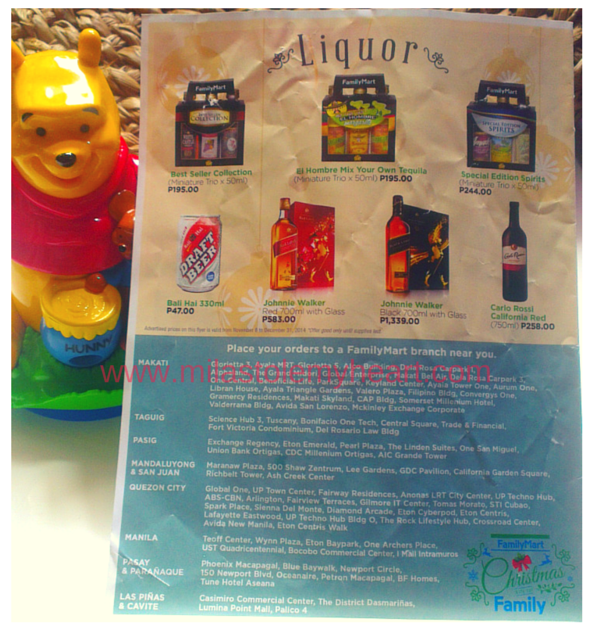 As I was scanning through my stash, I found one from Family Mart's Christmas with the Family Brochure. I just saw it today but looks like I had it for a while. A Family Mart branch is just a few steps from my office so I normally buy lunch there. Have you seen their counter? Lots of pastries and sweets. You don't get stucked with just oily chicken nor boring hotdogs. If you haven't been, you should! 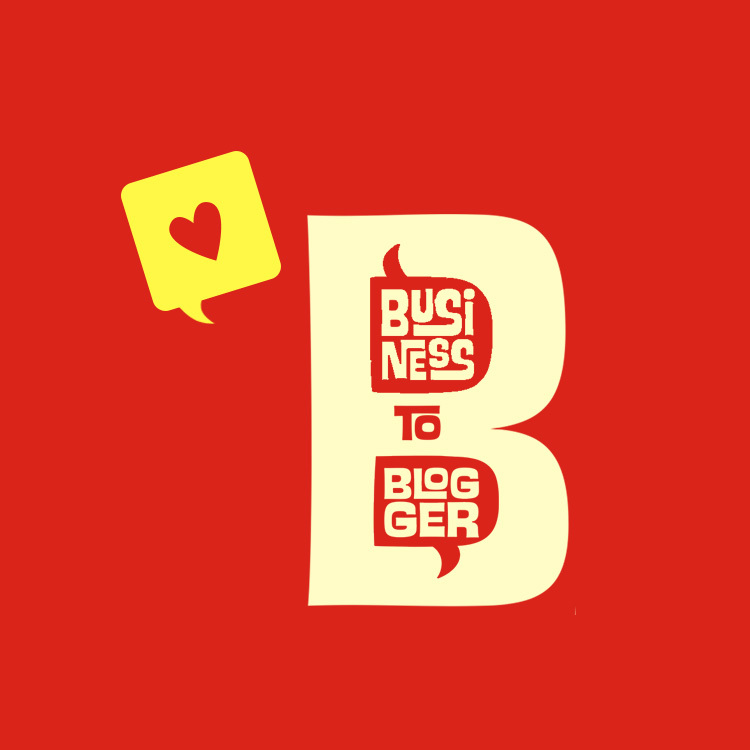 A new branch is popping up everywhere! I love how Family Mart is redefining 24/7 convenient stores. Just look at their Christmas Offering! Salmon with Dill Dressing, Ham and Cheese Platter, and Roast Beef anyone? More wine for me please! 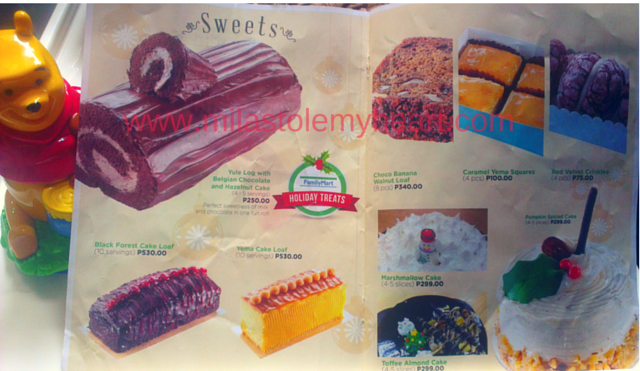 You can order everything for your Noche Buena if you are feeling lazy or just don't have the time (and skills like me). Or really because the food looks so scrumptious! It's also great for party potlucks! 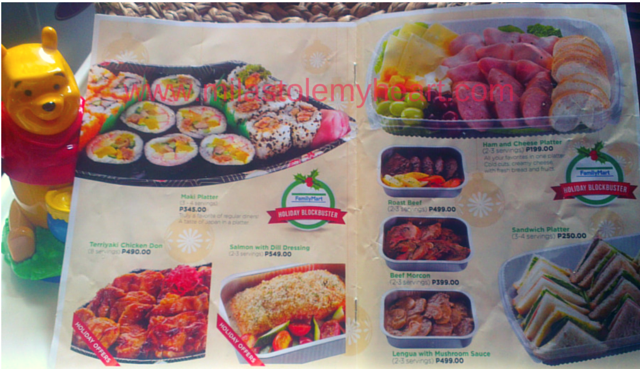 From your main course, to your dessert, until the party drinks, you can order it from Family Mart! I don't see any other convenient stores with this, have you? Just click on the photos above to see the prices. Place your orders to a Family Mart branch near you.